15 615 Gouin West blvd. The Salle Pauline-Julien is characterized by its intimate atmosphere. With its 533 seats, 380 of which are configured in cabaret mode, it offers its visitors an artistic cocktail of all styles. Theater, music, dance and many other activities take place on the boards of this venue every now and then throughout the year. 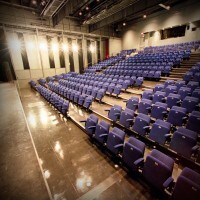 Situated at Boulevard Gouin Ouest, in Sainte-Geneviève, the concert hall is located west of the island of Montreal. The Salle Pauline-Julien has on the bill a program of which the events are held on several dates scheduled for all seasons of the year. 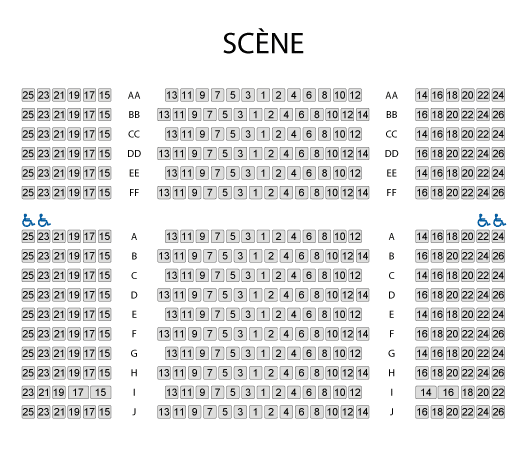 Billets.com offers you the possibility to reserve your seats for performances on the stage of the Salle Pauline-Julien. Keep checking the schedule and availability of seats online.